We have a large selection of excellent modular buildings of all sizes to hire/buy. 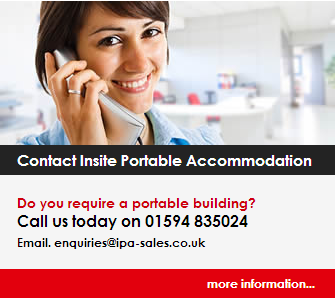 Just call Insite portable accommodation on 01594 835024. Can be used for a number of purposes including class rooms, Offices, Changing rooms for sports clubs. We can also fit any building out to your needs including adding toilets,showers, offices, kitchen areas.